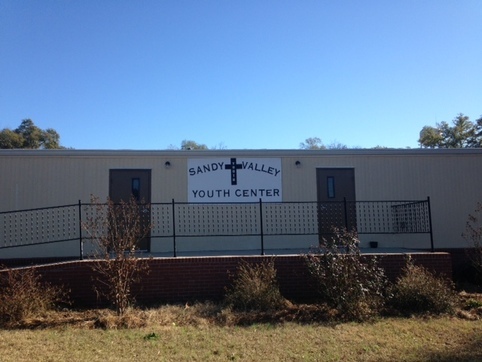 At Sandy Valley Baptist we believe the youth of today are the leaders for tomorrow. Our purpose is to equip our youth to be signposts to their peers pointing them to Jesus Christ. Throughout the year we provide conferences so they can worship and learn, summer camp so they can bond, Bible Study so they can be equipped and unashamed as God's children, training in world hunger so they can have compassion and help those who are in need, church services so they can worship and praise our Heavenly Father, and swim parties, games, and times when they can just hang-out and fellowship on with another. Our goal is to do our part alongside parents/families so as to grow teens in grades 6-12 into who God would have them to be. Our youth have their own worship service Sunday and Wednesday evenings at 6:30 p.m. in our youth building. These services are specifically designed with youth and their needs in mind. These are led by our adult youth leaders.